Our instructors are cutting-edge investment bankers who’ve been top producers at some of Wall Street’s most successful firms and want to help you succeed in finance. Many open positions in investment banking are available exclusively to our graduates and we help you apply for them. Our locations in major global cities make it convenient for you to jumpstart your successful career or advance your existing career in finance. Our Investment Banking Training Course is an approved partner of some of the world’s most recognizable financial organizations including the CFA, CFP and NASBA. ATTEND LIVE CLASSROOM TRAINING IN CORPORATE VALUATION AND FINANCIAL MODELING BY SUCCESSFUL INVESTMENT BANKERS – WITH CONVENIENT GLOBAL LOCATIONS. Advance your professional career in finance with live hands-on investment banking classes at the International Finance Institute. Our accredited international banking school offers convenient global locations to hone your skills in investment banking. Join our seasoned experts for quality investment banking training in financial modeling, corporate valuation, mergers and acquisitions (M&A), leveraged buy-outs (LBO) and more. You’ll learn why investment banks, corporations, and leading business schools partner with us to teach the specific skills required for a successful career in investment banking. 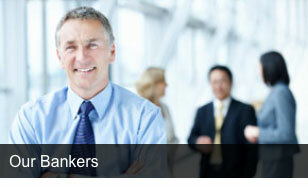 The International Finance Institute is the global leader in finance and investment banking training. 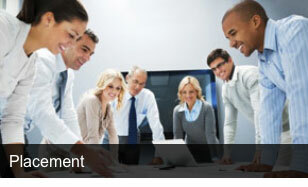 We conduct instructor-led training sessions in major cities worldwide. So one of our training centers is very likely convenient to you. Live, hands-on classroom training in corporate valuation and financial modeling by instructors who are highly experienced investment banking professionals. Skills you can apply immediately, so you’ll be seen as a highly employable, valuable asset in the investment banking industry. Expert help landing your first job and exclusive access to coveted active job openings in finance. Live classroom sessions provide the focused interaction with your instructor that simply isn’t possible in an online environment. Our students learn the most current methods in the banking industry, taught with examples from the real-world experience of our bankers. Our classes are limited to 18 students, so our instructors can give you the personal attention you need to maximize your learning. Since many of our students already work in investment banking and other areas of finance, you can network to build relationships. Some of our students even land their first job before they finish our course. You’re invited to ask questions and can be assured that they’ll be answered thoroughly. Since the subjects are complex, follow-up questions are also welcomed. You’ll receive job guidance and placement assistance by experts who will show you how to present your skills on your resume, master interview skills, select the most appropriate firms to apply to – including hundreds of midsize banks, PE firms, boutiques and equity research firms – and know exactly how to add value to the firm that hires you from day one. Lifetime guarantee. You can retake any of our courses at any time in any of our worldwide locations at no additional charge. So you can deepen your understanding of any subject or refresh your knowledge of it to keep your skills up to date. Our concentrated 30-hour course provides you with an unrivaled fast track to the career you want in investment banking or a convenient way to advance your existing career. We have ongoing relationships with many investment banks, private equity firms, and hedge funds. In fact, they often retain us to train their employees. We’re proud of our leadership in helping our graduates find full-time jobs and in knowing that many of them have gone on to reach high positions in investment banking, private equity, hedge funds and other areas of finance. Call IFI now — and get on the fast track to a rewarding career in investment banking. Top investment banking experts teach you how to become a successful banking professional or to advance your existing career in finance. Our courses give you the practical skills that investment companies look for in new hires, we provide resume and interview help – and we post jobs available exclusively to our students. Hands-on instruction in our convenient locations in many major cities around the globe. 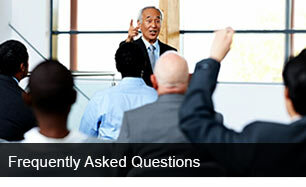 Frequently Asked Questions about our financial modeling and investment banking training program.